Court overturns election committee decision to permit former MK Michael Ben-Ari to run for 21st Knesset - but permits Arab parties to run. The Israeli Supreme Court issued a ruling against Otzma Yehudit Sunday evening, barring one of its candidates, Dr. Michael Ben-Ari, from running for the 21st Knesset. In so doing, the court overturned a decision earlier this month by the Central Elections Committee to permit Ben-Ari to participate in next month’s election. The court also ruled Sunday to overturn the Central Elections Committee’s decision to bar the radical anti-Zionist Arab parties Balad and the United Arab List from running for the Knesset. The two parties, which are running on a joint ticket, had been barred by the committee for their support for terrorism and opposition to Israel as a Jewish state. In addition, the court also moved to overturn the Central Election Committee’s order that Ofer Cassif, the sole Jewish candidate on the joint list of the predominantly Arab Hadash party and the Ta’al faction be banned from the Knesset. Cassif, a Hebrew University lecturer, had been banned over comments he had made comparing the State of Israel to Nazi Germany. 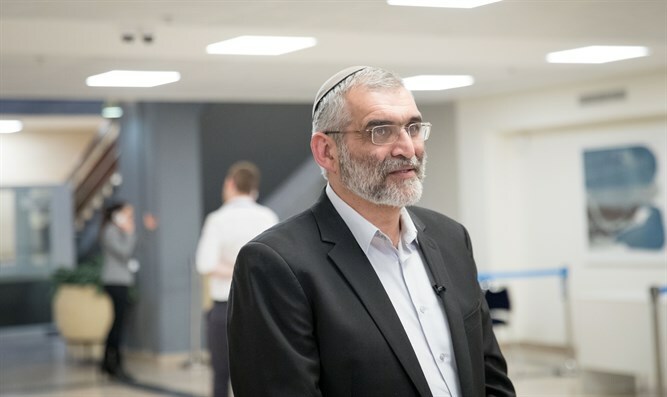 Ben-Ari, 55, had been the Otzma Yehudit faction’s first candidate on a joint ticket with the Jewish Home and National Union parties, receiving the fifth slot on the joint slate. A former Knesset Member who served in the National Union part from 2009 to 2013, Ben-Ari was a student of the late Rabbi Meir Kahane, who founded the Kach party and served as the party’s sole Knesset Member, from 1984 to 1988. While previous candidates have been barred from running for the Knesset – including Rabbi Meir Kahane, who was banned in 1988 – this marks the first time in the history of Israel that the court has banned a candidate over the objections of the Central Elections Committee. The petition to bar Ben-Ari had been submitted by Meretz chief MK Tamar Zandberg, Labor MK Stav Shaffir, and representatives of the Reform Movement. Attorney Itamar Ben-Gvir, Otzma Yehudit’s second candidate for the Knesset, was also included in the petition, but will be permitted to run. Ben-Ari's critics had accused him of incitement to racism, pointing to a number of videos shared on Facebook in which Ben-Ari called for a tough line against terrorism. The former MK denied that he was hostile towards Arabs as Arabs, and had only spoken out against Arabs who oppose the State of Israel. Attorney General Avichai Mandelblit had recommended to the Central Elections Committee to ban Ben-Ari, while permitting Ben-Gvir, the United Arab List-Balad, and Ofer Cassif. With Ben-Ari barred from the election, the candidates below him on the joint Jewish Home – National Union – Otzma list will be bumped up one spot, pushing Itamar Ben-Gvir into the seventh slot. The decision strips Otzma Yehudit of its “safe seat”, with polls showing the party winning between six to eight seats.